Pay-per-click (PPC) advertising is a great way to get your website at the top of search engine results for organic search terms. Although strategy can be complex and involve a lot of research, the overall concept of PPC is simple: bid on keywords for which you want to have content displayed at the top of search results and pay the bidding amount when the link to your content is clicked through. If you have tried PPC marketing on your own, though, and are not experiencing any success in click-through rates (CTR) or conversion, you may be tempted to give up on PPC. 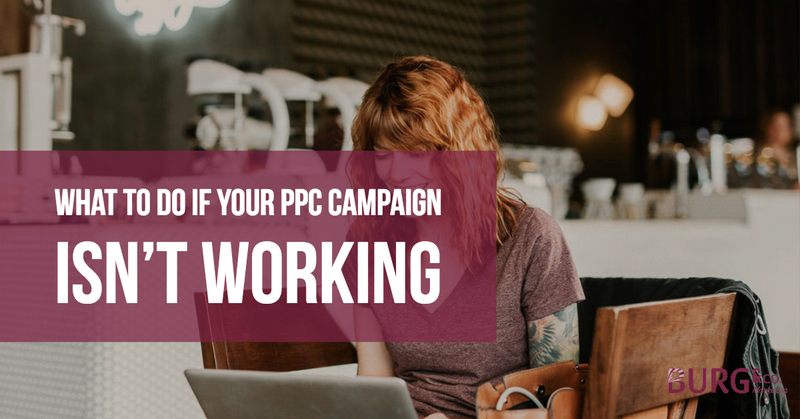 If your PPC campaign isn’t working, don’t lose hope. Making some adjustments and developing a new strategy may be all you need to begin experiencing success. Would-be marketers who jump into PPC on Google without any experience often make the mistake of not fine-tuning their business’ settings in Adwords. It’s important to define factors like your campaign type, your desired target location and your ad frequency. You mean to say that there are keywords you don’t want to show up for? Yep. It may seem counterintuitive to eliminate some seemingly relevant keywords from your PPC campaign, but this actually helps narrow your campaign’s focus to the right audience. This will help lower the cost of your campaign and increase the likelihood of your ads displaying on the keywords you truly want to use for your strategy. In some cases, your ads are working and you have good CTR, but you’re not seeing any conversion. Does your site have a high bounce rate? Perhaps, your site is not very user-friendly and is causing users to look elsewhere for what they need. Make sure your site loads quickly and has excellent content. Emphasize mobile-experience too. A website that does not perform well on mobile devices will not only alienate many visitors but will affect your organic search results. If you would like some assistance with building a PPC strategy that successfully converts, you should talk to the marketing experts at Burg & Co. Marketing. Contact us to find out how digital marketing services can help you improve your traffic and conversion rates. © 2018 Burg & Co Marketing.